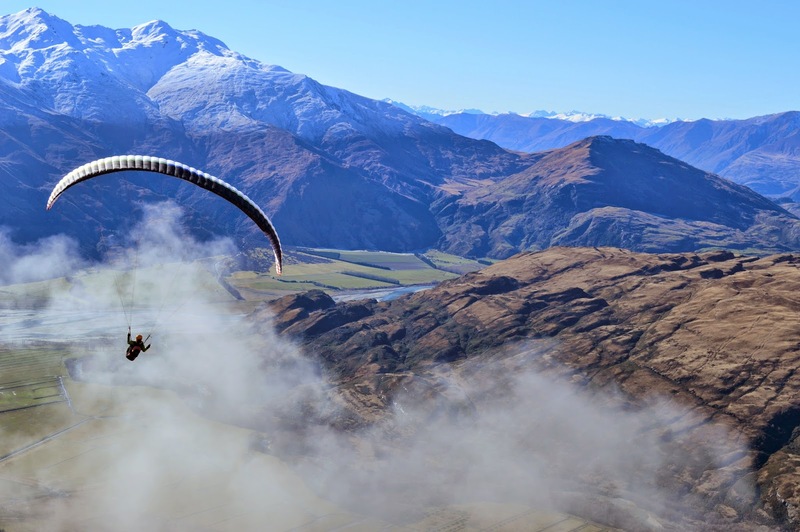 The Southern Club has announced a Regional Paragliding Competition, to be held in Wanaka/Queenstown on the 13th and 14th of December 2014. Just a reminder to be especially careful at this time of year when flying, as conditions can be fickle. We have had an exceptionally large number of accident reports recently, involving both students, visiting pilots, and experienced pilots. So, be vigilant, keep safe and fly in appropriate conditions. 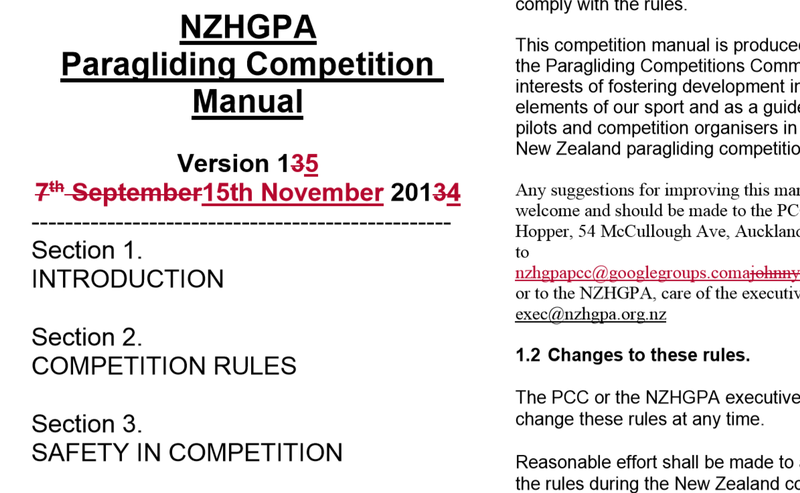 Please find, in the Paragliding Competition downloads area, a proposed new version of the NZ Paragliding Competition Rules, for your perusal and approval. * General change of "NZ Open" to "PG Open"
* A change so that if there are not 4 or more RC or overseas events in a season then a pilot will not score a DNF for events that did not occur. Cheers, if I don't hear anything to the contrary then these rules will go into effect on the 29th of November 2014. During routine WOF inspection and pre-flight checks on two harnesses the bungee reserve pin retainers in the harnesses have failed. Both had sewn in bungy cords for securing the reserve pocket. The bungy has been stitched through. This has likely caused the bungee to fail in two ways. During normal use the thread continues to cut the bungy strands. Inadequate stitching or other means to hold the bungy cord intact during normal use. Stitching through bungy is not best practice for this kind of application. A knot secured in the bungy is a preferable method, the knot maybe backed up with a non metallic washer also. Sewn in bungy increases the risk of an accidental reserve deployment due to the difficulty of checking the failure point during normal pre flight checks. The wear may only be identified during a thorough inspection. It is recommended that all pilots take particular notice of the method their reserve pocket is secured. Any sewn in bungy cord should be thoroughly inspected and if there is any concern regarding the integrity of the bungy contact the equipment supplier for repair or replacement of the parts. This version has new section numbering, improved navigation tools and a number of changes to the content. There is a full list of the amendments at the front of section 1. For solo pilots there are no significant changes that will affect your day to day flying. Instructors and tandem pilots should review the amendment list and relevant sections of the OPM to familiarise yourself with any changes that might affect your operations. The OPM is now in one single pdf file to enable the use of indexing and key word searches. OPM Forms are separate downloads for ease of use and updating. As always the latest version published online is the only approved version. If you have a saved or printed copy of the OPM please update to this version ( 1.2 dated Oct 2014).